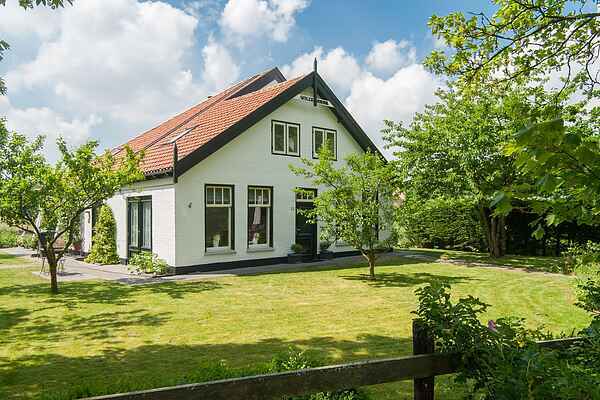 This cozy holiday home Wilca Hoeve has a lovely rural location, only a ten minute walk from the quaint center of Schoorl. A stone's throw away you have access to the woods and the national park of the Schoorlse Duinen with the widest and highest dunes of the Netherlands. The holiday home has a spectacular uninterrupted view. When there is frost you overlook a natural ice rink. It is lovely how the rays of sun enter the Wilca Hoeve. There is a lovely open and fun atmosphere. It feels very clean. There is also a bedroom with a skylight above your bed, you can sleep under the stars! The back part of the farmstead is occupied by the owner. Your privacy in the front part of the farmstead is guaranteed. The holiday home is a wonderful holiday spot from where you will discover Schoorl and surroundings either by bike or by foot. You can of course go for some unforgettable walks on the beach or get a nice sun tan. You are close by the picturesque artist village of Bergen. Should you feel a bit more energetic you can reach Alkmaar or even Amsterdam in no time!